Sellers have LOVED MOST the "COUNTRY FEEL to this House's Location...yet so darn close to so many CITY AMENITIES": stream, bike and walking trails just off back yard; go to Boulder or go to LODO; quiet cul-de-sac with great Neighbors; flowers and trees galore. Very new roof/new gutters. NICE Upgrades in kitchen and bathroom. Gorgeous high-end laminate Floors and more. 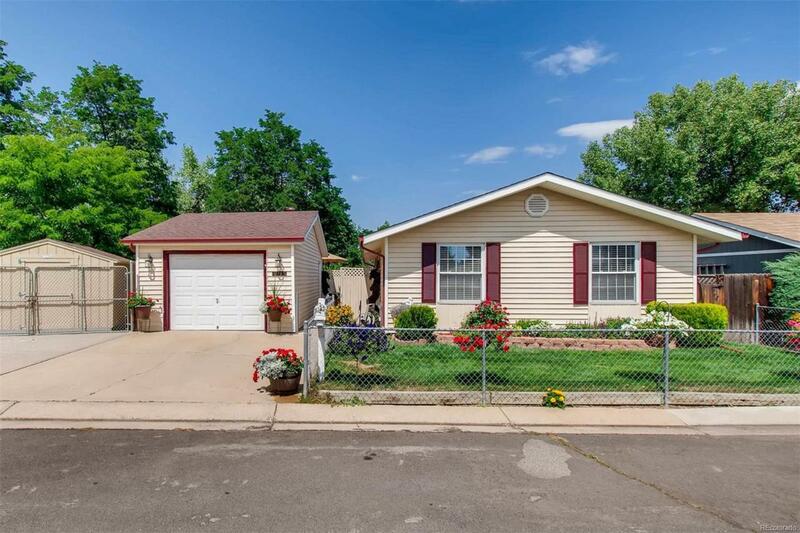 Comfortable and cozy also accurately describe this 3 bedroom and one bathroom home. Quiet backyard w/Large deck and new 10X10 Tuff shed. Garage shelving STAYS. Open House Sat 8/25 1-3pm.